‘Breakfast is the most important meal of the day’ so why do some of us refuse to take this statement on board? Treat it as a passion or an art form and you won’t live to see another day where you aren’t eating breakfast! There is always a secret pleasure in eating something that almost looks too good to be munching on, setting your day up for positivity with some pretty bowl-tastic breakfasts is what you’re going to learn right here, right now. We have brought together a selection of delicious looking bowls to give you some motivation to start your day right with these quick and easy bowl recipes, blend and decorate and you’re good to go. 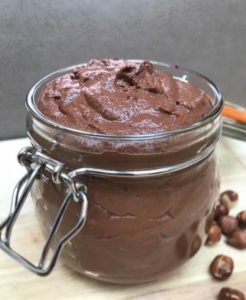 A secret has been let loose by blogger CerealAndPeanutButter on what makes her Healthy Chocolate Breakfast Mousse so irresistible that it has become a regular on the breakfast menu… Nutrient-rich avocado, packed with essential heart-healthy fats. Not only do they provide health benefits, they provide a luxurious creamy texture with your mousse making it into a bowl of excellence. Personalise it with any toppings you wish and breakfast is served. 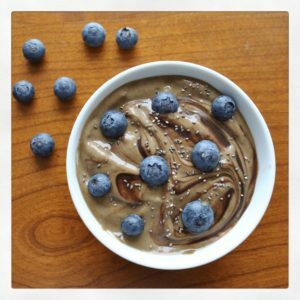 Ingredients: 1 very ripe avocado (flesh), 1/4 cup Creative Nature cacao powder, 3 tablespoons full-fat coconut milk, 1 tablespoon honey (can replace with maple syrup), 1/3 teaspoon pure vanilla extract, 1/8 teaspoon salt, optional: 1/8 teaspoon ground cinnamon, optional: 1/8 lemon, juiced. Nutritioulsy Naughty has blessed us with her Fruity Berry Smoothie Bowl, giving you a dash of fruity colour to put a spring into your step. Perfect for a summers day giving you a very berry beautiful bowl. Just simply add everything except the toppings in to a blender then pour into a bowl and decorate until your hearts content. 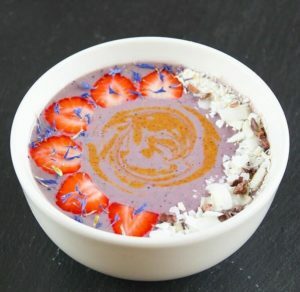 Ingredients: 1 banana, 100g fresh or frozen berries, 60ml unsweetened almond milk, 1 tsp of Creative Nature’s maca powder, unflavoured pea protein, coconut chips, Creative Nature cacao nibs and coconut almond butter. 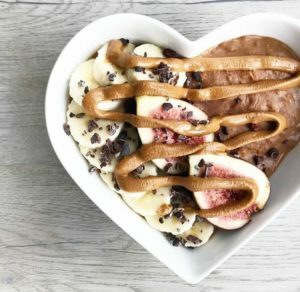 Now that August is coming to an end maybe we should start easing those warm breakfast’s in to get our insides used to the change in weather with this bowl of Chocolate Peanut Butter Proats from Nutritious Nicky. Ingredients: 50g organic cacao & coconut porridge, 30g peanut butter, 250ml organic cashew milk. Simply heat all the above ingredients in a pan when heated through pour into a bowl & top with banana, sliced figs, Creative Nature cacao nibs and a drizzle of cashew nut butter. Our Superfoods are perfect for toppings on top of pretty much any breakfast/porridge/pancakes but when you want to take it that little step further and challenge your inner Gordon Ramsey, re make an all-time fav spread, that’s where Beautifully Green’s homemade Nutella recipe comes in. 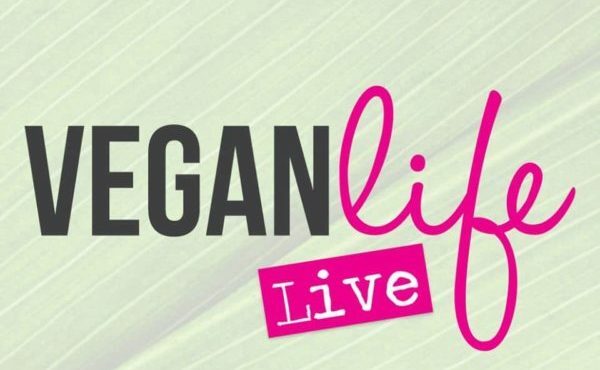 Ingredients are: hazelnuts, Creative Nature cacao powder, coconut cream, water, maple syrup, coconut oil and vanilla powder – so 7 simple plant-based ingredients all whizzed together to create this perfect wheat, gluten, dairy and refined sugar free – and of course, vegan alternative to Nutella. @creativenaturesuperfoods and we would love to see what else lurks in the menu of breakfasts.